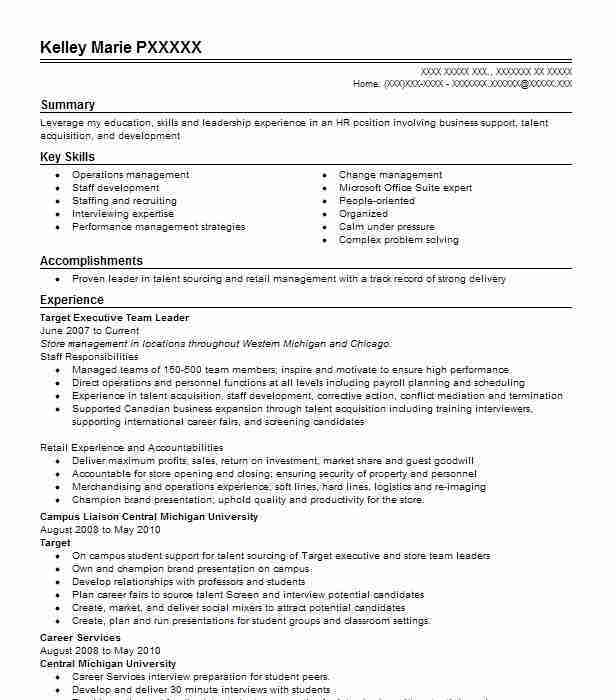 Excellent Target Executive Team Leader understands what is necessary to oversee several departments with millions of dollars in annual sales.Possesses key management skills and believes in providing quality guest services.Has a Bachelor’s Degree in Business Administration and six years of Target Executive Team Leader experience. Reported to the Store Team Leader and assisted in the daily operation of the store. Supervised multiple departments with sales of up to seven million dollars annually. Worked weekends and evening hours as required. Performed all store closing duties at least once weekly. Performed opening duties at least once weekly. Served as the store leader once weekly while Store Team Leader was off of work. Participated in new employee interviews and hiring. Analyzed finances of supervised departments. 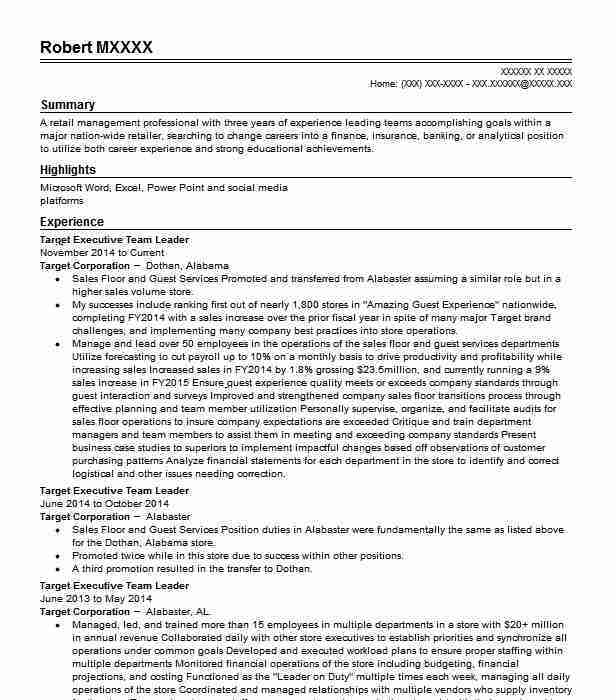 Completed all employee evaluations and required documentation as required. There are plenty of opportunities to land a Target Executive Team Leader job position, but it won’t just be handed to you. 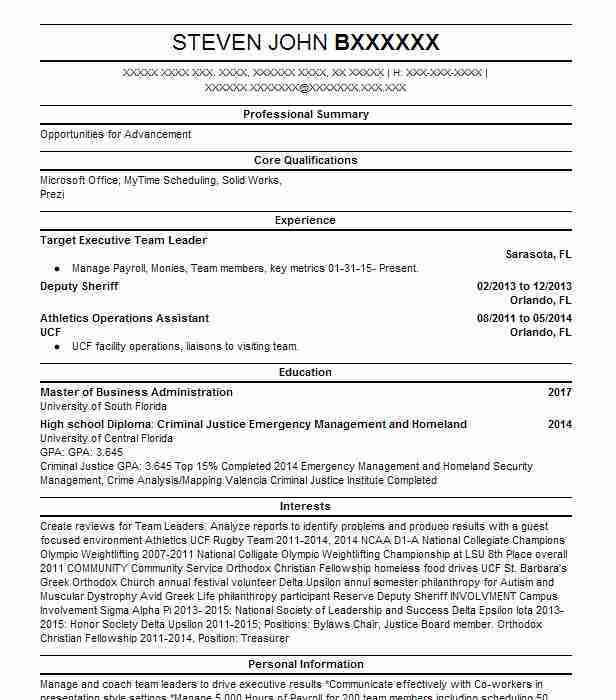 Crafting a Target Executive Team Leader resume that catches the attention of hiring managers is paramount to getting the job, and LiveCareer is here to help you stand out from the competition.